The Frau sometimes feels so integrated in Switzerland that she forgets that spending CHF 20 ($22) on a lunch that she will eat at her desk is actually, in fact, not a very good deal! Nothing like a Spain vacation to bring her back to Swiss reality. For every 1.50 Euro ($2) beer, yodelers, the Spanish gave The Frau a FREE tapas. After seven years of being charged for dinner roles even though her CHF 25 ($27.50) schnitzel wasn’t exactly a bargain, The Frau had forgotten about FREE. of the world seems cheap. 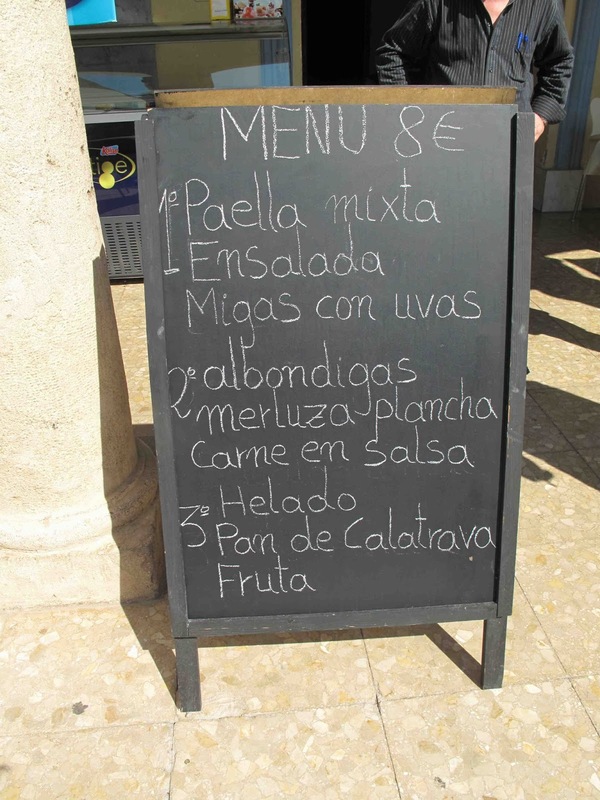 In Spain, she had three-course lunches including coffee and a drink for the price of one glass of Swiss mineral water. She had a churro made fresh on the spot for 60 cents ($.81). She bought fresh olives at a market for 1.50 ($2). The only purchase she questioned? Why she had bought a round-trip ticket. Forgive The Frau, Switzerland. But it’s her first week back since going to Spain and she is having a little lunch remorse. Can you blame her? She just spent CHF 9 ($10) for one TAKE-AWAY sandwich. Sadly, she wanted chips and an apple from the GROCERY STORE too. Another CHF 6 ($6.60) down the tubes, all so The Frau could have a romantic lunch AT HER DESK and gaze out at THE FOG. But don’t worry, Switzerland. The Frau isn’t leaving again anytime soon. So in 72.56 hours (approximately), she will most likely go back to thinking overpriced is normal. So true! I have a friend here in Zurich who used to divide the CHF price in two, and if that was reasonable...the CHF was reasonable (as in DOUBLE!!) Our latest idea is to compare prices to the cost of a typical 1 dl of restaurant wine...7 CHF for a bag of chips? Well, I'd buy one dl of wine for that price...so why not the chips? A new Zurich currency...the CHdl!? You might be forgetting that people working in Spain actually also earn way less money than they would do in Switzerland. Take your job you have in Switzerland and divide it by 2 or even 3 and you have your Spanish income. In the end you're not paying that much more for the same item in Switzerland because - you know - you also earn much more here. Perfect solution: having a Swiss working contract and salary but working from abroad! Ah, Spain. I underAh, Spain. I understand you really well. (more considering I come from the cheapest part in Spain, Andalucia). When my mum-in-law visited us this summer, wondered if here in Switzerland breed the chickens with gold, jaja. 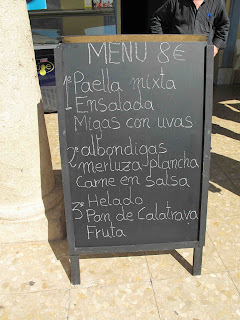 Well, I agree that Spain is marvellous place given climate, landscape, history, food etc. a. "high price tags for service work --> decent income for EVERYBODY --> very low social unrest --> safe environment and … even low public debt"
b. "low prices (especially for service work) --> lot of "working poors" and many people living in poorness like in a third world country --> high social unrest/high criminality rates --> unsafe environment --> high public debt close to bankruptcy"
- unemployment rate: 12% … much more than e.g. Germany's 6.6% (though the official rate is given with 8%, since it is measured in USA quite differently than in Europe (in order to misinform their own people, perhaps? ), e.g. not taking into account long-term unemployment and many more things to improve the figures by hidden "manipulations" . - murder rate: 4.2 !!! (2011) … five times as much as in Europe! … so in other words, perhaps your happiness considering low price tags abroad are probably based on your unconscious exploitation of local shortcomings you try to deny?!! I am from Spain and I love my country but... I live in Switzerland. If I were right now in Spain, chances are either my boyfriend or I would be unemployed (if not both), we wouldn't be able to save a cent at the end of the month, my son would have a crappy education all his life (unless we chose to sent him to a private school, which we probably could not afford), I wouldn't dare to get sick as I would have to wait for 1 week to get an appointment and 1 year to have surgery if needed. I could go on, but I guess you get it. Honestly, I don't mind double-paying if I can still save money at the end of the month. Irene, danke, all very good points!